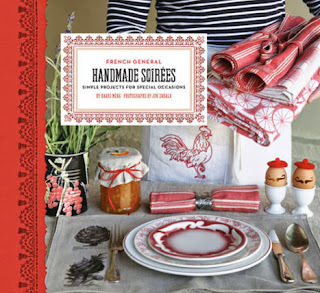 Homespun Stitchworks..... For the love of vintage: My love of French General fabric! Today I thought I would share with you my love of French General. As you all know I make most of my things from vintage fabrics and vintage blankets. I always use antique mother of pearl buttons, BUT some things like my ribbons can not be made with vintage. The next best thing is French General fabric. I enjoy the books too. 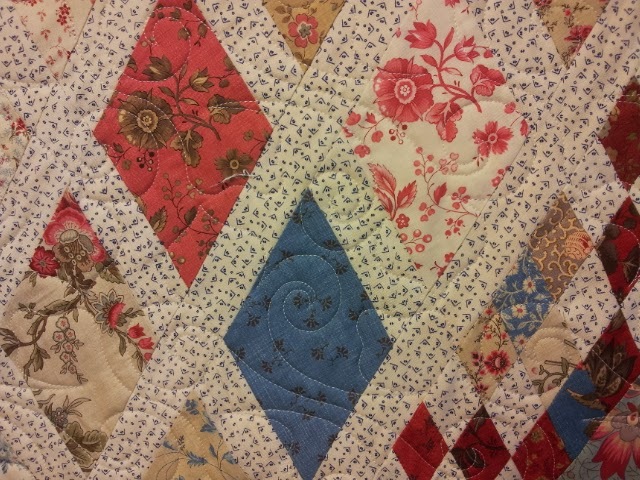 My two lap quilts that I am doing are both with French General fabrics. It is new fabric with that vintage feel. So if something has to be done from new fabric, well this is my first choice every time. The colours and designs have a French feel to them and are quite simply stunning. Kaari Meng is the designer and her talent is boundless. Have a little look at some of things that she designs. The fabric is produced by Moda. A day patched with quilting seldom unravels! !